Telegram Messenger update 2.4.0 is now rolling out on Windows Mobile devices. The latest update adds video messaging as well as Picture-in-picture mode for video messaging. In addition, now you can download contents faster. The update also includes GIF support improvements. Check out full details. 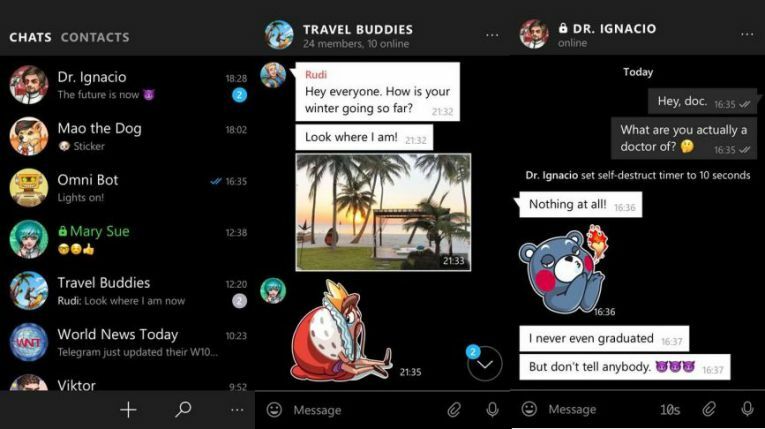 You can download Telegram Messenger update 2.4.0 for Windows Mobile from the Windows Store or from the link below.